At Access Dental, we strive to provide our patients with the latest dental advancements to offer the most comfortable and comprehensive care possible. As part of our effort to deliver the best technological advancements we provide our patients with the WaterLase dental laser. With WaterLase, there is no longer a need for drilling or even anesthesia as the laser offers a pain-free approach to common dental procedures. If you are ready to experience a different side of dentistry, it is time to experience laser dentistry in Grande Prairie. WaterLase is among one of the latest dental advancements to enter the world of dentistry. Using a combination of water, air, and laser energy, common dental procedures are now considered to be less invasive. The laser works to provide accurate and precise results because the teeth consist of water. When the laser comes into contact with the tooth, the water within the tooth becomes stimulated, allowing the laser to easily cut through the tooth. With a steady stream of water applied to the tooth, the tooth does not become dehydrated. As a result, there is no heat, which provides a pain-free approach to many dental procedures, such as dental fillings. In addition to added comfort, WaterLase simplifies many common dental procedures, making them more convenient. For example, since no anesthesia is often required with this procedure, you are able to undergo a dental filling in less time without having to recover from anesthesia. WaterLase is also safer than traditional dental drills. When dental drills are used, large amounts of tooth are removed at once. But, with WaterLase, you benefit from more accurate and precise results. As a result, there is decreased risk for damage occurring to surrounding tissues as only the area to be treated is targeted. In addition, the spinning of dental drills can cause a tooth to crack or break. But, not with WaterLase. There is far less risk for damage to the tooth when compared to a traditional drill. With only the intended area targeted by the drill, you benefit from a shorter recovery time. You will no longer have to deal with numb lips because anesthesia is often not needed. In addition, you will enjoy less bleeding and swelling after procedures. WaterLase does not just provide a more comfortable and convenient treatment but a safer treatment overall. With the use of a laser, the is minimal risk for cross contamination. We are able to use single-use, disposable tips so there is little to no risk for bacteria entering the treatment area. At Access Dental, we take great pride in ensuring our patients’ comfort and care. With the use of WaterLase, we are able to make many common dental procedures virtually pain-free and minimally invasive. The use of the state-of-the-art laser is safe for both children and adults. 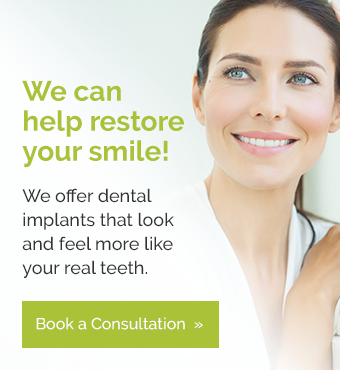 If you are ready to experience a pain-free side of dentistry, contact our office today to schedule a consultation.